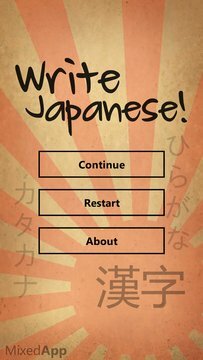 Learn how to write japanese the quick and easy way! This app will teach you how to correctly draw each stroke, in the intended order and direction. 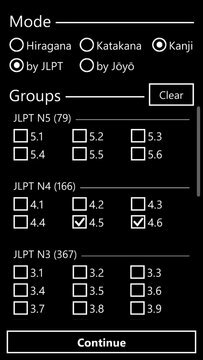 It includes hiragana (102), katakana (102) and kanji (2381 by Jōyō and JLPT) and features automatic hand writing recognition and pronunciation sounds. Contains no ads, no in-app-purchases or data collection.